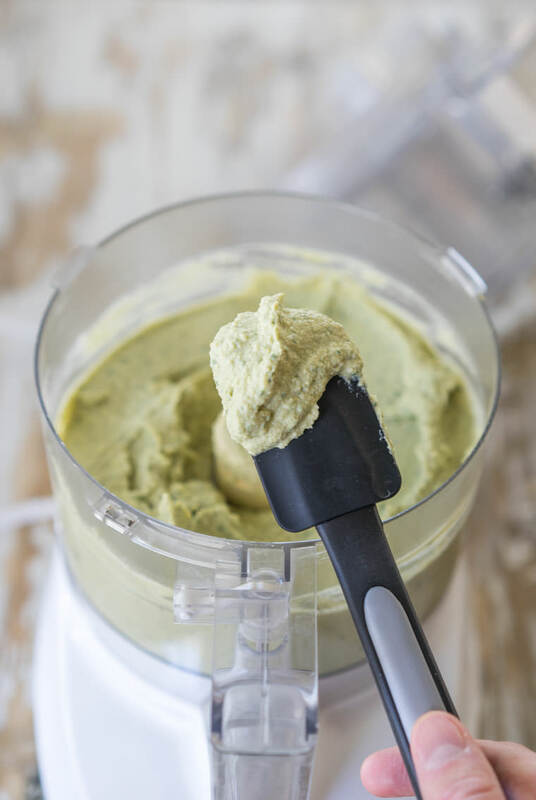 If you think about it, the crossover between pesto and hummus is quite significant… They're both simple purees made in a food processor, both ingredient lists call for lemon juice and garlic, they both include a creamy element (tahini or pine nuts), and they're both spreads that go well on flatbreads. Why not take everything great about hummus, add the missing pieces of a pesto, and create one epic super-spread? First, drain the cans of chickpeas and use a kitchen strainer to rinse them really well. Then, add them into a food processor with the tahini, garlic, lemon juice, and some salt. Pulse this several times and then add in a bit of water (1/4 cup to start) and allow the processor to run for 1-2 minutes until the mixture is completely smooth. Now, add the pesto ingredients (2-3 big handfuls of fresh basil leaves and about 1/4 cup of toasted pine nuts) and pulse for another minute or so, until no large pieces of basil remain and the whole mixture has turned slightly green. At this point, the hummus isn't finished; use your own judgement to finalize the flavors. Give it a taste and add anything else you think it needs. If you feel it needs more pesto flavor, add more basil. Does it need more brightness? Add salt. More creaminess? Another tablespoon of tahini will do the trick. 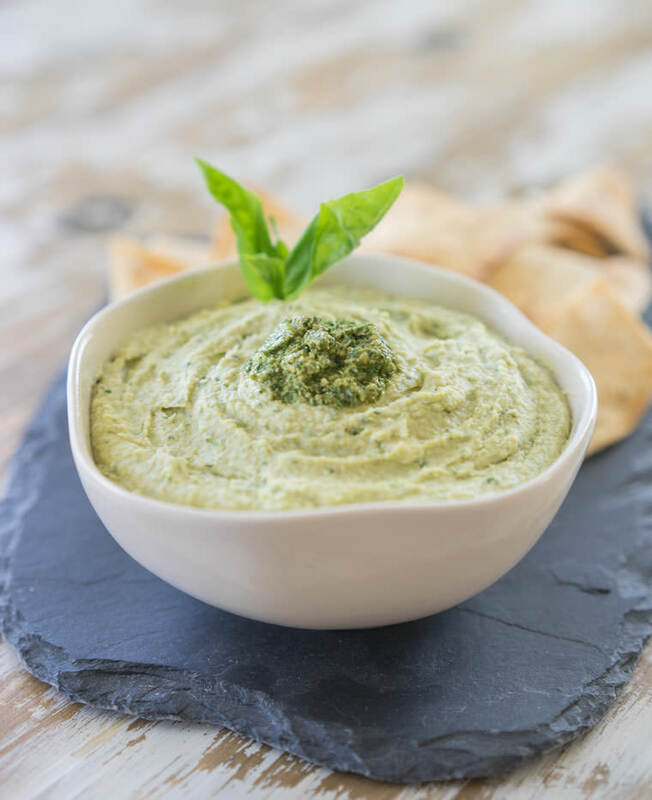 Note: if you're confused about the pesto you see in the middle of my hummus, it's totally optional. I just happened to have regular pesto on hand as well (this is what happens when you plant too much basil…).